An important element of being able to love your home is finding the right window treatment expert to work with. This is why so many locals turn to Sweet Shutters and Shades in order to create the perfect look for their home. With over 20 years of professional expertise backing up our Davidson shutter company, you can feel confident about the level of quality service and products you can get. 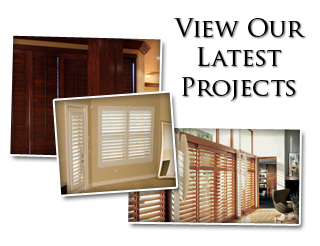 We offer a wide variety of window treatment options including shades, window blinds, and shutters in Davidson, NC. All our window coverings come in a vast assortment of materials, colors and finishes. Our job is to show you all of these options, during a free in-home consultation, and answer any questions that you may have. Our goal is to help ensure that you get the results that you had hoped for. We don't just aim to please, we strive to exceed your expectations. We believe that going above and beyond should be the standard for customer service, so let us demonstrate that in person. Get in touch with us today so that we can provide you with the service and results that you deserve. Shutters offer quality protection against harmful UV rays. While your shutters are closed, they are helping keep out the rays of the sun. These rays, over time, will fade and damage your flooring and furnishings. 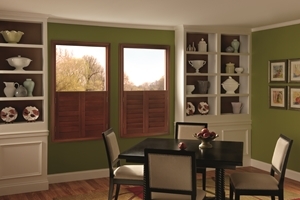 As far as window treatments go, shutters are among the easiest to clean and care for. The nonporous surface means that dirt and dust do not stick and cleaning is as easy as wiping down the surface. This also make it a good choice for households where an allergy sufferer may reside, or anyone with asthma or other breathing-related health issues. Quality shutters that are expertly installed by a professional shutter company will help increase the property value of your home. That makes this a wise investment and not just a decorating expense. For some people, the best choice for their home is window blinds in Davidson, NC. The right window coverings will help improve your house, as well as aspects of your day to day life. Let us show you all the benefits that you can expect from your shutters, or any other window treatment you select. At Sweet Shutters and Shades, we take great pride in our ability to help our customers. Being dedicated to offering total customer satisfaction helps make this possible. 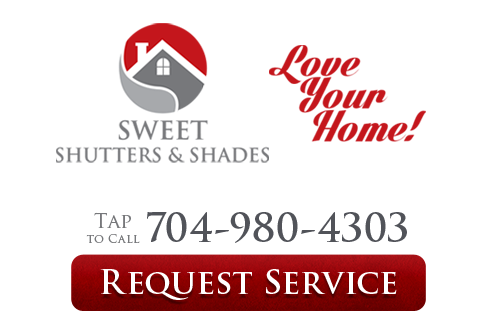 If you are looking for an experienced Davidson shutters or window blinds professional then please call 704-980-4303 or complete our online request form.